On April 11th, Salsa Soulseros will be hosting a specialty workshop conducted by the talented Dominican Style Dance Instructor and International Filmaker, Adam Taub. Our team originally met Adam in 2008 as he travelled the southwest showing his film, El Duke de la Bachata, featuring Dominican musician/artist Joan Soriano. Since then, Adam has featured his film and taught at various Bachata events around the US. Adam will now be traveling here to share his multi-media presentation. 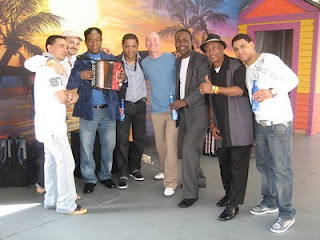 On April 11th he will also conduct a Specialty Dominican Music, Dance and Culture Workshop. This is an event that will enlighten you to the history and evolution of the music and the sensual dance of Bachata. The workshop is open to all levels and will cover the many styles of traditional Dominican Bachata. This is an event you will not want to miss! To register early and to save your spot click here.